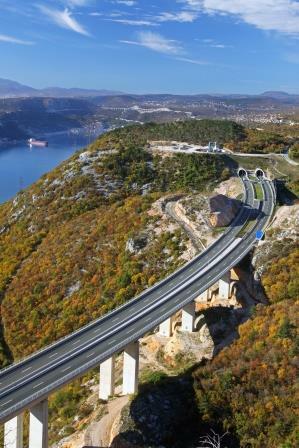 ArcelorMittal Zenica (Long Products) provided 6,000 tonnes of steel mesh and rebars for the Vijenac tunnel. This € 62 million project allowed the construction of one of the longest road tunnels in Bosnia and Herzegovina, and definitely the most modern one in the region. 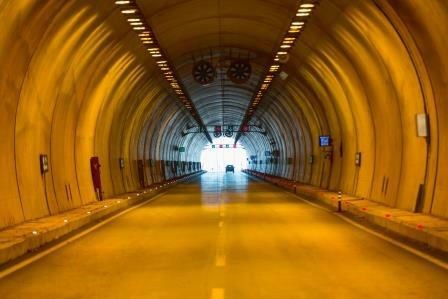 The Vijenac tunnel, built between 2011 and 2014, is one of the most significant structures on the Traffic Corridor 5c and so far is the largest infrastructure project in Bosnia and Herzegovina. Located in Zenica, the tunnel is nearly 3 kilometres long and is equipped with numerous systems, such as led lightening and video surveillance for tracking and detection of any potential issues in the tunnel. The tunnel was designed as a twin tunnel with two traffic lanes in each tube. Our steel was used for the construction of the two tubes and the two lanes. Euroasfalt and ŽGP Sarajevo, the 2 domestic companies who built the tunnel, were supplied with about 6,000 tonnes of ArcelorMittal rebars and steel mesh, via the compagnies Standard EM and Arel. Traffic Corridor 5c is a multimodal complex link between North, Central and Southern Europe and an exceptional value in the context of the economic and transport integration. It will go throughout whole Bosnia and Herzegovina, linking the Northern and Southern border of Bosnia and Herzegovina and Croatia.